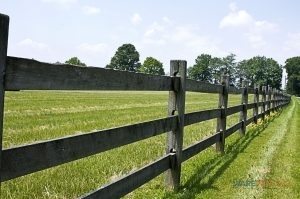 There Are Many Different Kinds Of Split Rail Fences Available. Are you interested in split rail fence installation in Crowley and Fort Worth, TX and the surrounding areas? At Ware Fencing, we have an experienced team of fence installers that love to install these split rail fence systems in residential and commercial properties alike. We use only the highest quality of materials, and we will work with you every step of the way to make sure your fence comes out exactly the way you want it. No matter what up your budget or needs are, we can find the ideal fence solution for your property. 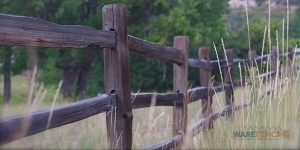 What Is A Split Rail Fence? Split rail fences are a type of fence traditionally used on farms and ranches since colonial times. These fences are extremely popular for their simplicity, as well as their affordable costs. As you can see in the photo, split rail fences typically utilize sturdy posts, with two supporting beams between each pair. Many homeowners choose to fortify them with chicken wire as an additional defense against critters such as rabbits and possums. Timber rot is not a common issue in properly installed split rail fences, due in part to the extremely thick posts used in installation, which makes them capable of lasting several decades. Additionally, the simple design is ideal for fence repairs and replacements, since you can remove the broken pieces easily without disrupting the remainder of the fence. You can choose to leave your split rail fence with a rustic, unfinished look, or it can be stained. At Ware Fencing, we offer several different kinds of wood for split rail fencing, but one of the most popular is cedar. If you are looking for a durable, reliable, and affordable fence that can cover several acres, split rail fencing may be the ideal choice for you. For a property with hundreds of acres, many property owners will choose barbed wire instead, and if you have cattle or horses on your land, we have other options you can choose from. Give us a call at 817-948-4503 today to learn more about our split rail fence installation in Crowley and Fort Worth, TX and the surrounding areas.